A partnership between developer Stockland and MJH Multi will see the construction of a $63 million townhouse project in Marsden Park. The medium-density Azure Townhouse Project includes 176 townhouses in the highly sought-after Elara estate and offers high-quality, affordable homes, which will have particular appeal to first home buyers looking to crack the rising Sydney property market. MJH Multi Business Development Manager Keith Stratten said the price point is more at the affordable end and perfect for people looking to purchase their first home. “In terms of medium-density residential areas, they don’t get much bigger than the new Azure collection at Elara,” Mr Stratten said. The Azure collection of architect-designed two, three and four bedroom townhouses at Elara will be only 6km from the Schofields train station and 15 minutes from Blacktown station, and are ideally situated close to the future sporting grounds, St Luke’s K-12 Catholic School and proposed neighbourhood shopping centre at Elara. The off-the-plan sales process has already received a very strong response from homebuyers with more than 85 per cent of Azure townhomes already sold. The remaining townhomes will be priced from $399,000 for a one bedroom with garage to $664,000 for a three bedroom with double garage and $739,000 for a four bedroom, double garage, freestanding home*. All two bedroom townhomes have now been sold. General Manager of MJH Multi Ben Mathers acknowledged that the Sydney Housing market is still struggling with affordability. 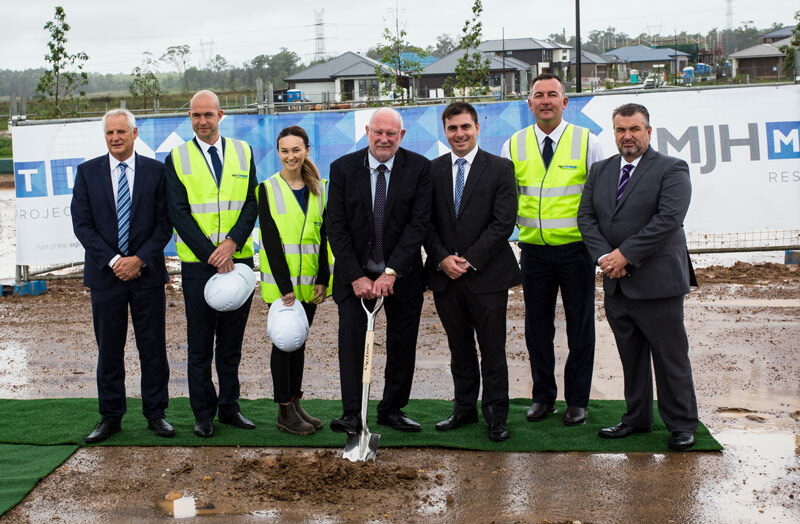 “This project will deliver the North-West growth corridor with affordable housing and high quality homes, potentially for first home buyers, downsizers or people moving into a new community”. Ben Cantwell, General Manager Medium Density and Completed Homes at Stockland, reiterated this statement, noting that Elara is proof that the Great Australian Dream is still alive and well in Sydney. Residents and potential homebuyers can expect to get the keys and move in around July 2018. The team at MJH Multi are passionate about creating a top quality result for your project. Our professional approach, attention to detail and commitment to communication throughout the building journey will ensure you enjoy a smooth, efficient process and an outcome that you will be proud of. Like to know more about what we do? Sign up for our newsletters for project updates & industry news.